As Benjamin Franklin once said, nothing in this life is certain, except death and taxes. So it is unsurprising that Acas has published new non-binding guidance on managing the impact of bereavement in the workplace. Matthew Howse and Lee Harding examine how employers can manage grief among their employees. The starting point is that all employees are entitled by law to reasonable time off work to deal with an emergency such as bereavement. However, reasonableness is not defined and the law only entitles an employee to unpaid leave. The guidance goes beyond this by recommending that a single period of paid leave is provided to all employees, or that a tariff of leave should be provided based on whether, for example, the deceased was a child, partner or parent. However, the problem with a blanket approach is that this is likely to provide too much leave for some and not enough for others. An alternative method is to make the grant of any bereavement leave purely discretionary. Following a dialogue between management and the affected employee, a decision can then be taken about how much leave to offer and what proportion (if any) of that should be paid. As with any discretionary benefit, a potential downside is the risk of claims for unlawful discrimination. However, unlawful discrimination occurs not only where the same situation is treated differently but also where different situations are treated in the same way. Not all employees have the same needs – for example, the guidance cites Judaism as being an example of a religion requiring adherents to remain at home and grieve for seven days. For this reason, a blanket policy is not necessarily better than a discretionary one as it is safer to consider all cases on their merits. Acas provides some good recommendations to managers when handling communications, such as to offer proper condolences and to be sensitive and compassionate. However, there is little acknowledgement of how awkward and uncomfortable such conversations can be for managers as well as employees. perceptions of the employee’s personality. Where possible, a manager should make use of HR and other senior managers in deciding on the best approach. It is important that managers seek to understand the extent to which an employee wishes for the employer to keep bereavement issues confidential from customers and colleagues. Announcements and internal communications should be handled in a sensitive manner to protect employee relations, as well as avoiding potentially breaching requirements under the Data Protection Act 1998. The guidance also acknowledges the wider issues which may arise out of bereavement. For example, bereavement may cause an employee to become depressed – which is capable of amounting to a disability. Disabled employees must be properly managed to reduce the risk of disability discrimination claims. HR should therefore carefully monitor any changes in a bereaved employee’s behaviour and take appropriate action where necessary, such as involving their occupational health service. Another potential pitfall for employers involves subjecting a bereaved employee to a performance improvement plan (PIP). Sometimes, it may be safer for an employer to wait for a short time before taking formal action against bereaved employees who are failing to meet performance objectives. Other steps that employers may take include re-allocating the employee’s work or changing his/her duties. Similarly, if the PIP has already started at the time of the bereavement it may be prudent to suspend the PIP, extend the duration of it, or change the performance objectives. 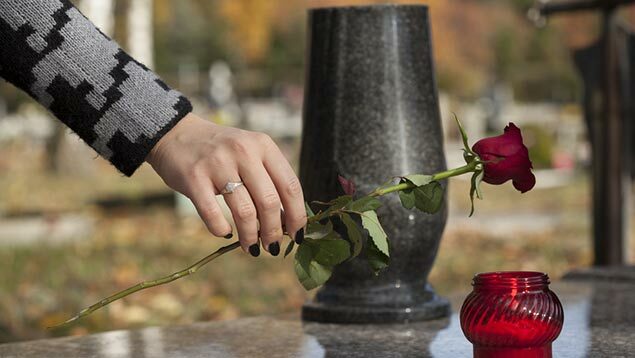 The guidance assumes that an employer will know when an employee is bereaved. However, this will not always be the case, especially with part-time employees, home workers and employees who are temporarily absent from the business. This can potentially cause problems where an employer does not carry out an adequate investigation. For example, it may not be reasonable for an employer to dismiss an employee for unacceptable levels of poor attendance if the employer fails to investigate the reason for the absence and it later transpires that the employee was struggling to cope with bereavement, and had not sought help or discussed it with anyone. Death is a sensitive issue and clearly affects people in different ways. Overall, the guidance takes a helpful and common-sense approach to a difficult and emotive area. For most employers, getting a handle on these issues will be important because of a genuine concern and interest in the wellbeing and happiness of their employees. However, it is also important to reduce the risk of potentially costly and disruptive legal claims. Matthew Howse is a partner in Morgan Lewis's Labour and Employment Practice, where Lee Harding is an associate. Great read, the generation below me will likely die in the workplace anyway!